Ambient air monitoring as been the primary service offered over the years at Inquest Environmental, Inc. Key personnel date back to some of the earliest days of air monitoring program development. 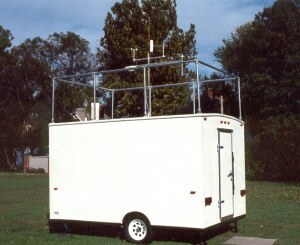 Inquest routinely assembles, delivers, and sets-up permanent and mobile monitoring stations that are developed to meet specific moniotring needs. Inquest will collect and report data on your behalf or offer training in bringing onsite personnel up to speed in realtime observations, data collection, and reporting techniques.